Last month, AT&T filed a statement with the Federal Communications Commission "supporting its proposed acquisition of T-Mobile USA and responding to critics. The filing demonstrates the overarching imperative that drives this transaction: giving AT&T and T-Mobile USA customers the network capacity they need to enjoy the full promise of the mobile broadband revolution." 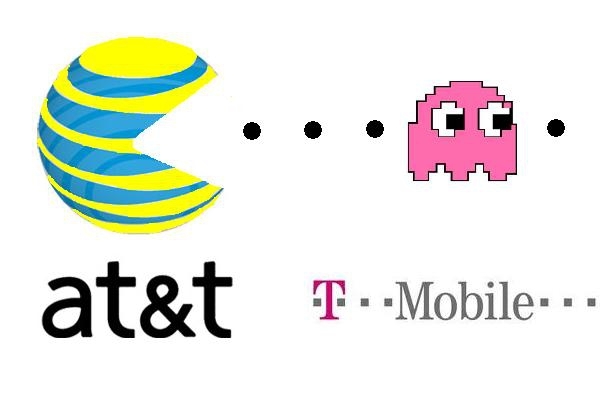 I don't doubt for a moment that an acquisition of T-Mobile would help AT&T increase capacity. I'm just not certain it's the only way to do it, or the best way for consumers. To hear AT&T tell it, providing expansive LTE services without this merger will be difficult, if not impossible. Hmm... This reminds me of something... Like when Charlie Ergen, CEO of satellite TV provider DISH Network explained to Congress a decade ago that without a merger of DISH Network and rival DirecTV, it would be difficult, if not impossible, to offer local channels to rural markets due to bandwidth constraints. Amazingly, despite the rejection of that merger, both DISH Network and DirecTV, faced with the threat of losing business to competitors, managed to solve the issue the old fashioned way: with technology, and managed to provide local channels to rural America without the "necessary" merger. Perhaps regulators should remind themselves how that failed merger played out before placing too much faith in the doom-and-gloom prophecies that AT&T and T-Mobile are preaching to them today. Personally, I have a hard time believing AT&T will simply roll over and play dead without this merger and decide to cede the mobile broadband business to Verizon because they couldn't figure out a way to provide extra capacity armed only with the large pile of cash they intend to buy T-Mo with and that giant chunk of unused 700MHz spectrum they bought a few years ago and haven't yet utilized. Much like DISH Network and DirecTV did, I suspect AT&T and T-Mobile will figure out how to sell telecommunication services to customers despite the looming "spectrum crunch" they're warning us about. By the way, speaking of the spectrum crunch, does anyone besides me think AT&T should tell their marketing department that launching a new prepaid unlimited voice/text/data plan for a market-busting $50/month is probably not a good idea when you're simultaneously trying to convince regulators that your fragile overloaded network is teetering on collapse if this merger isn't approved? I sort of miss the olden days when cellular companies were regional, and they figured out how to solve such difficult problems like "nationwide coverage" with things like reciprocal roaming agreements. Why can't mutually beneficial cooperation like that work in this case without requiring the absorption and elimination of a competitor? AT&T's predecessor Cingular used to have complex network sharing agreements with T-Mo; Cingular used T-Mo's network in New York where Cingular lacked spectrum, while T-Mo used Cingular's in the West where T-Mo lacked spectrum, and no one was the wiser- T-Mo branded handsets reported the network as "T-Mobile" in both areas, while Cingular's reported "Cingular." The network sharing ended when Cingular absorbed the old AT&T Wireless and no longer needed T-Mo's network to provide coverage in New York. Could something like this not work again? If AT&T and T-Mobile can agree on the details of a complex merger, they certainly could hash out some sort of spectrum/tower sharing plan to avoid redundant 4G build outs of rural areas and pool capacity in congested metro areas. As to pooling capacity, I've been trying to figure out how the sum of the two companies' spectrum assets will magically increase capacity. If AT&T doesn't have enough spectrum for the demands of its customers, and T-Mo doesn't have enough for its customers, how does a combined AT&T and T-Mo have enough for the combined customers of both companies? If ten people are trying to share an eight-slice pizza, the solution is to get another pizza, not "merge" with another group of ten people sharing one! The spectrum argument only makes sense if AT&T can somehow acquire T-Mobile's network and spectrum, while jettisoning the comparatively low ARPU customers that make up much of T-Mobile's customer base. I predict that despite AT&T's assurances that "nothing will change" for T-Mobile's customers, AT&T will be working overtime to alienate them with loopholes in the proffered promises, like terminating grandfathered T-Mobile plans whenever contracts are renewed, dismantling T-Mo's 1700MHz 3G network as soon as possible to prompt the users of suddenly-obsolete T-Mo smartphones to transition to AT&T-branded handsets (and "compatible" AT&T plans,) or simply employ the old Cingular classic play, the "administrative fee," added to bills of customers they want either to switch plans or just go away. Cingular used this technique to "encourage" their TDMA phone users to switch to GSM after Cingular transitioned their network a half-decade ago. Many of these customers were on low-cost/low-usage grandfathered plans that Cingular wouldn't switch over to their GSM service. The fee certainly helped close the cost advantage the grandfathered plans had, and drove many of the affected customers to either upgrade or leave- either result helped Cingular shed the "dead weight" of low revenue customers. I can't imagine AT&T welcoming a horde of sub-$40/month T-Mo customers with a warm embrace, except perhaps as a way to plunge a knife in their collective backs. Contracts will insulate some T-Mobile customers for awhile, but AT&T will be able to get right to work on the prepaid customers. I wonder how many milliseconds post-merger it will take AT&T to kill off T-Mobile's prepaid plans, like the Pay As You Go voice plan with optional unlimited smartphone data for $1.49/day, which includes tethering. That plan, like many of T-Mobile's value-oriented plans, seems oddly incompatible with such a "spectrum crunched" industry. Perhaps AT&T doth protest too much?